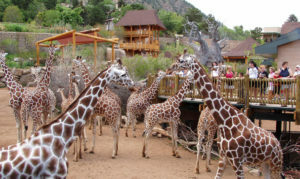 When you stay at Rocky Mountain Lodge, you’ll discover many fantastic places to eat and numerous attractions in the Pikes Peak area and even more fun things to do in Colorado Springs, CO. From hot air ballooning to incredible hiking trails to museums and the theatre, there is something here for everyone. Peruse below to get ideas on restaurants in Colorado Springs, Manitou Springs, Cascade, and Woodland Park. There are many choices from fine to casual dining and even catering if you are looking to have a quiet night in your room. Guests staying in our facilities have these lists in a Guest Information Book provided in each room and include directions and phone numbers as well. 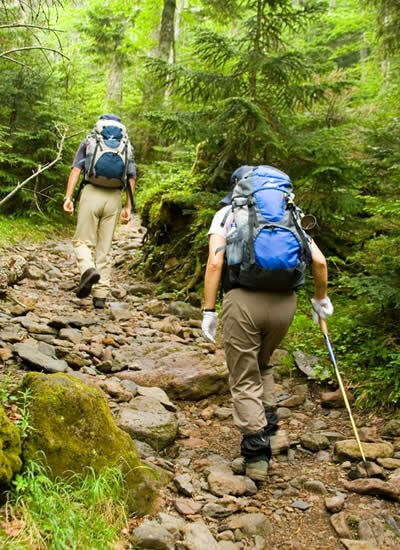 You may click on Area Attractions to help set up your itinerary while staying in the Pikes Peak Area. Also, take time to look through our wide variety of Vacation Packages, offering a multitude of outdoor activities such as Jeeping, hot air ballooning, rafting and so much more! 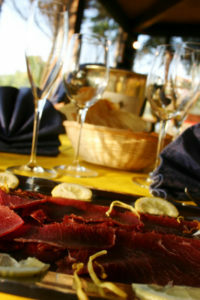 including Buffalo Burgers, grilled chicken, tuna, and swordfish, and of course, Colorado wines! Wine tasting available. Enjoy their creekside dining during the summer. Open for lunch and dinner. Back Room Pizza (Cascade) – The only place that delivers in our area (free delivery), or it’s just down the street and around the corner! The Mucky Duck (Green Mountain Falls) – A local favorite for Country French cuisine, as well as Italian, just a few miles away in Green Mountain Falls. Also offering delivery services to the area, as well as catering. The Pantry (Green Mountain Falls) – Great restaurant written up in Sunset magazine several years ago. Still the same great quality today. Also open for lunch, but breakfast is the best. Creekside patio open during the summer, and an all-you-can-eat BBQ by the creek on summer evenings with live entertainment on the weekends. with an old fashioned speak easy feeling. Serving dinner and drinks with unique cuisines including steaks, seafood, chicken, buffalo, lamb, pasta, rabbit, gluten free, and more. Garden of the Gods Market & Café (Colorado Springs) – An upscale market, café, and bar open for breakfast, lunch & dinner, using fresh local ingredients whenever possible. Till Kitchen (Colorado Springs) – Comfort food with a gourmet twist. Farm-inspired food, freshly crafted cuisine, and an extensive wine selection connecting you to the best of Colorado. Voted Best in Colorado Springs. Open for lunch and dinner daily. Walter’s Bistro (Colorado Springs) – Featuring contemporary fine dining with an exquisite seafood selection including a variety of fine spirits and a wonderful wine list with varietals from around the world. Open for lunch Monday – Friday, and dinner Monday – Saturday (closed Sundays). Urban Egg (Colorado Springs) – Offering a fresh twist to favorite breakfast and lunch items. An extensive menu featuring items made from scratch daily, using fresh, local ingredients. Also a full bar daily, and known for their “ultimate Bloody Mary selection”. Voted Best Breakfast in Colorado Springs. The Stagecoach Inn (Manitou Springs) – Casual, affordable, comfortable, friendly dining. Serving burgers, steaks, chicken, fish, and more. The Swiss Chalet (Woodland Park) – Open since 1962, the Swiss Chalet specializes in classical continental cuisine. Marigold Café & Bakery (Colorado Springs) – a local favorite for lunch! Briarhurst Manor (Manitou Springs) – a fine dining restaurant including wild game, fish, seafood, and beef. The Famous Steakhouse (Colorado Springs) – Voted “Best Overall Restaurant” by the Colorado Springs Gazette for 2006. Open for Lunch & Dinner. The Steaksmith (Colorado Springs) – Serving aged, hand-cut steaks for the past 25 years. Have won 32 “Best of” awards to date, such as “Best Steaks, Best Service, and Best Place for Carnivores. MacKenzie’s Chop House (Colorado Springs) – Comfortable and elegant, MacKenzie’s Chop House is fine dining at its best, serving seafood, pasta and the finest cuts of steak. Texas Roadhouse (Colorado Springs) – Great steaks, ribs & chicken in a totally casual setting. Paravicini’s Italian Bistro (Colorado Springs) – Great authentic, family-style Italian restaurant. Macaroni Grill (Colorado Springs) – Good chain restaurant. Carrabba’s Italian Grill (Colorado Springs) – Good chain restaurant. Pizzeria Rustica (Colorado Springs) – Fantastic hand-made pizzas. Small bistro-style restaurant that fills up quickly. Voted Best of the Springs for several years. Roman Villa Pizza (Colorado Springs) – Popular local family-run Italian restaurant since 1959. Open for dinner only. Fargo’s Pizza Co. (Colorado Springs) – A great place to take the whole family… great pizza and other Italian food, and an arcade for the kids to play. Mona Lisa Gourmet Café & Fondue (Manitou Springs) – Wonderful setting and excellent cheeses, meats, desserts, and wine bar. The Melting Pot (Colorado Springs) – Good chain fondue restaurant. Edelweiss Restaurant (Colorado Springs) – Our favorite. The only place Brian has been able to find authentic German beer on tap in the Springs. LaBaguette (Colorado Springs) – So popular there are now 4 in town! A great place to go for lunch – their French Onion Soup and Bread are fabulous! Colorado Hacienda (Colorado Springs) – A Colorado favorite featuring homemade tortillas and a variety of homemade sauces and fresh ingredients (Our favorite Mexican restaurant in town). Amanda’s Fonda (Manitou Springs) – 3625 W. Colorado – 719-227-1975 -This is an authentic Mexican restaurant, not Tex-Mex. The Loop (Manitou Springs) – Another great Mexican restaurant close by, voted “Best Margaritas” by the Colorado Springs Gazette. Fusion Japan (Woodland Park) – Casual spot offering creative sushi rolls along with Japanese & Thai dishes, plus beer, wine & sake. Take out available. Jun (Colorado Springs) – Voted Best for Japanese & Sushi for the past 10 years in a row by the Colorado Springs Gazette. Colorado Mountain Brewery (Colorado Springs) – True Colorado crafted beers and original ales. Voted Best of the Springs for the past few years. Excellent unique beers and foods, including venison eggrolls, bison poppers, bison meatloaf wellington, and award-winning bison chili are among some of the flavor worthy foods served at the brewery as well. Old Chicago (several in Colorado Springs) – Voted best pizza in Colorado Springs. Amazing beer selection with over 110 beers from all over the world. Sports Bar. Champps Americana Sports Bar (Colorado Springs) – Voted best Sports Bar in Colorado Springs. Roco’s Café & Wine Bar (Colorado Springs) – Voted best Voted “Best Wine Bar” in Colorado Springs. 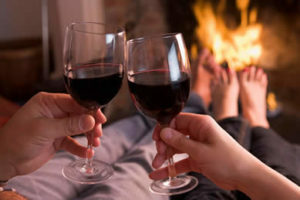 Wines of Colorado (Cascade) – World-famous burgers, including Buffalo Burgers, grilled chicken, tuna, and swordfish, and of course, Colorado wines! Wine tasting available. 15C Club (Colorado Springs) –15 E. Bijou St., Ste. C – 719-635-8303 – Voted “Best Martini Bar” in Colorado Springs. Front Range Barbeque (Colorado Springs) – Voted Best BBQ in Colorado Springs by the Colorado Springs Gazette. Rudy’s Bar-B-Q (Colorado Springs) – Popular chain barbeque restaurant. Famous Dave’s (Colorado Springs) – Popular chain barbeque restaurant. Caspian Cafe (Colorado Springs) – Exciting appetizers, creative sandwiches & salads, delicious entrees such as Moroccan tagines, seafood & unique chicken dishes. Jake & Telly’s (Colorado Springs) – Voted “Best Greek Food” in Colorado Springs by the Colorado Springs Gazette. The Pantry (Green Mountain Falls) – Great restaurant written up in Sunset magazine several years ago. Still the same great quality today. Also open for lunch, but breakfast is the best. The Hungry Bear Restaurant (Woodland Park) – Great family restaurant with good food and large portions. Over Easy (Colorado Springs) – Offering a fresh twist to favorite breakfast and lunch items. An extensive menu featuring items made from scratch daily, using fresh, local ingredients. Also a full bar daily, and known for their “ultimate Bloody Mary selection”. Voted Best Breakfast in Colorado Springs. I-Hop (Colorado Springs) – Family chain restaurant. Open for breakfast, lunch and dinner. Texas Roadhouse (Colorado Springs) – Great steaks, ribs & chicken in a completely casual setting. Old Chicago (several in Colorado Springs) – Voted best pizza in Colorado Springs. Amazing beer selection with more than 110 beers from all over the world. Sports Bar. Red Robin (several in Colorado Springs) – Family chain restaurant. Open for breakfast, lunch and dinner. On the Border (several in Colorado Springs) – Mexican chain restaurant. Open for lunch and dinner. Guided Scenic Bike Tours – Challenge Unlimited – Bike Tours including “Pikes Peak by Bike” and historical “Gold Camp” tours. 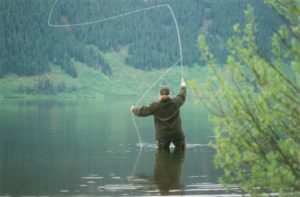 While vacationing at Rocky Mountain Lodge, there is MUCH to see and do in the area. 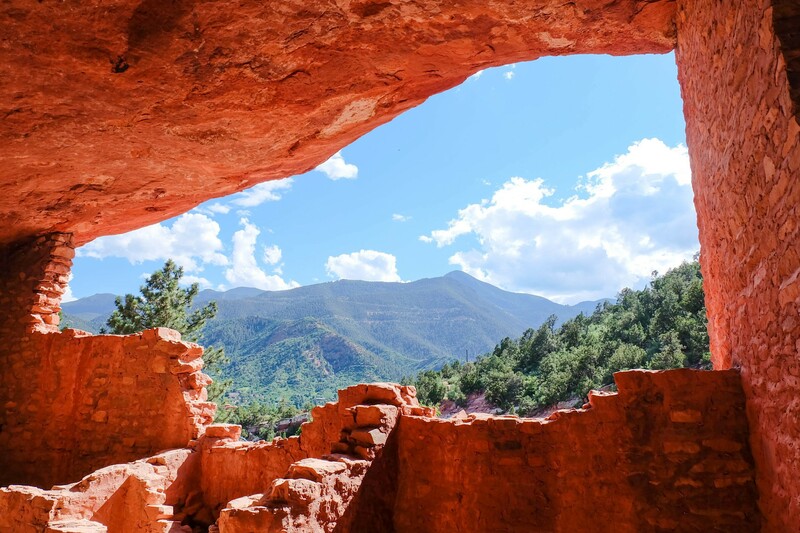 You can drive up Pikes Peak right here in Cascade, Colorado or visit Garden of the Gods, Focus on the Family, or many other Colorado Springs attractions. Manitou Springs, CO is also nearby and hosts the Manitou Cliff Dwellings and Cave of the Winds. 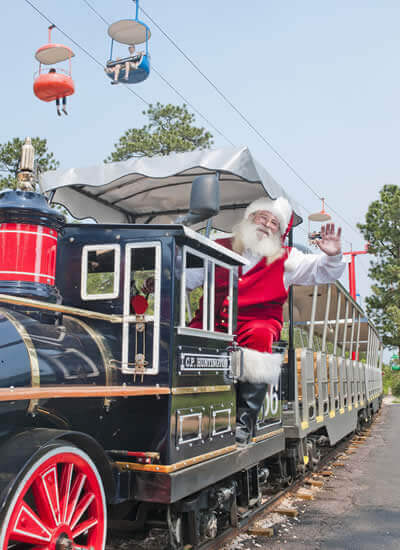 You can venture just a little further to Canon City and see the famous Royal Gorge and partake in some adventurous white water rafting or beautiful train rides through the gorge. 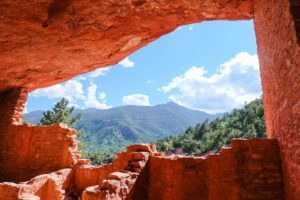 Try your hand at Gambling in Cripple Creek or do some horseback riding through the beautiful Garden of the Gods in Colorado Springs. Some of the most famous local events are the Pikes Peak Marathon and the Pikes Peak Hill Climb, the Coffin Races in Manitou Springs, the Air Force Academy, Colorado College, Rodeos in Colorado Springs, and the many events at the World Arena and Pikes Peak Center, also in Colorado Springs.